Any athlete will tell you that it is the ultimate honour to represent one's country at the Olympics. Few will further dare to dream about claiming a medal in their discipline. Held every four years, this event matches up the world's very best, especially with the recent inclusion of NHL players. Unlike, many trophies that only remain in possession of the champion until the following year, Olympic medals are uniquely manufactured for this one time event, including the event logo, further adding to its exclusivity for each participant. 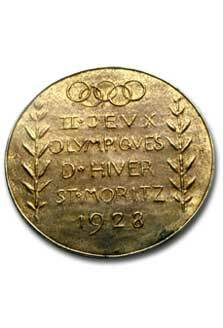 Also, the composition of each medal accentuates its value, with amounts of gold, silver and bronze providing even more luster.